Born in Calabria, Italy, Colosimo moved to America in 1895, arriving at the Levee district in Chicago. He quickly became the aide for corrupt politicians “Bathhouse” John Coughlin and Michael “Hinky Dink” Kenna, who made him manager of a poolroom and then a saloon. His job included collecting money from the sundry brothels, casinos and opium houses in the area. Victoria Moresco ran a brothel on Armour Avenue and she liked Colosimo so much that she married him in 1902. Together they increased the number of brothels, going downmarket with girls charging $1 or $2 a trick. By 1903 Colosimo owned more than 100 bordellos where he took $1.20 for every $2 the whores earned, and he gave 20 to the two corrupt politicians for protection. Colosimo needed a regular supply of women and so became a white slaver, buying girls for $500 apiece. The passing of the Mann Act, or White Slavery Act, in 1910, halted this market. By this time Colosimo had a huge empire of prostitutes, saloonkeepers, union racketeers and casino employees. He hired musclemen to keep his employees in line and then hired Johnny Torrio (search the article) to help him when the Black Hand Gang threatened him with extortion. With the younger man running things, Colosimo opened Colosimo’s Caf0, which became the in place in Chicago. It had a full orchestra, a dance floor, top entertainers and great food, prepared by the finest chefs money could buy. In 1913 politicians cleaned up the Levee but Colosimo simply moved his brothels and casinos to other venues. When Big Bill Thompson, probably the most corrupt politician ever, was elected mayor in 1915, with Colosimo’s help, business resumed in the Levee. Torrio told Colosimo to prepare for Prohibition (the Volstead Act came into effect on 17 January 1920) but Colosimo was uninterested in illicit booze: “Stick to the girls and gambling,” he said. Torrio decided that Colosimo’s reign should come to an end. He told Colosimo that a shipment of whisky would arrive at the café at 4pm and that he should be on hand to take charge. Also in the café that day was Al Capone (search the article) and as Colosimo entered the foyer Capone shot him in the head. Diamond Jim Colosimo was dead at 43. There were rumours that Frankie Yale was the killer but, according to crime historian Jay Robert Nash, he had an alibi proving he was at a union meeting at the time of the killing. 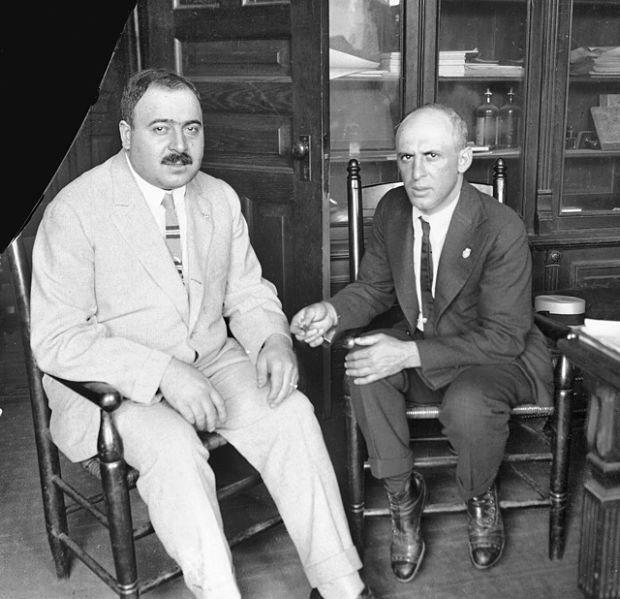 Johnny Torrio and Al Capone expanded Colosimo’s empire and within five years bootlegging was providing them with an income of more than $50 million annually.